The Toyota Prius is one of the most popular hybrid models on the automotive market, and it comes with an array of perks. A Prius is more environmentally friendly than your average fuel-guzzling car, leaving less of an ecological footprint. The smaller size makes the model easy to navigate in tight spots, and there are a lot of technological options like parking assist available. If you play your cards right, you may even get a break on your taxes for your Prius purchase. Step 1: Assess your budget. Whether you plan to purchase a used or new Prius, make sure you can afford the investment, so you don’t find yourself in a financial bind later. If you plan to buy a pre-owned Prius outright without financing, it is a good idea to subtract twice the the amount of your monthly bills from your bank balance and use the remainder as the top limit for your hybrid purchase. That way, there is still a little financial cushion in reserve for emergencies. If you're planning to finance a used or new Prius, use this same method of deducting two months worth of bills to come up with a top amount for the down payment and be honest with yourself about how much you can pay monthly without causing too much financial strain for comfort. Step 2: Research the different Prius models. 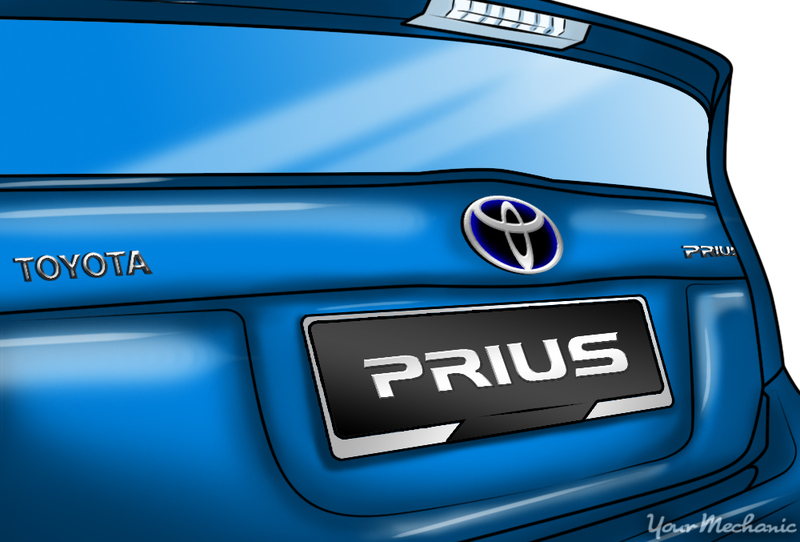 There are several Prius models you can choose, including the Prius C, Prius V, and the Plug-In Hybrid. 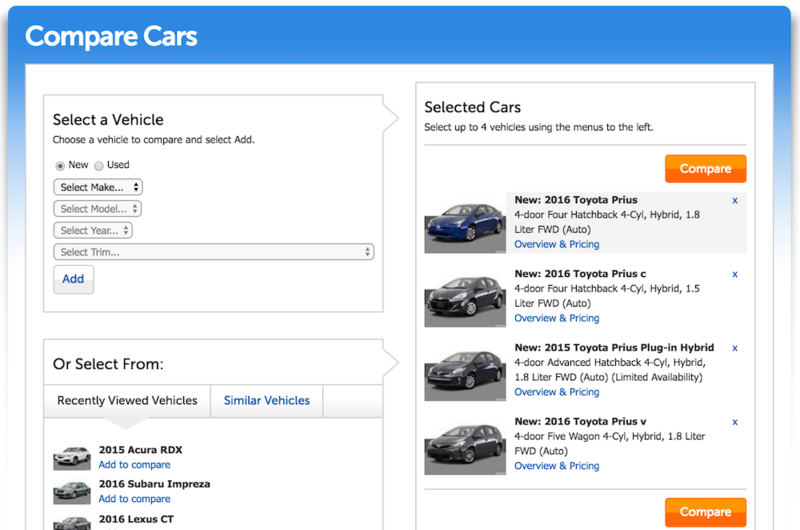 You can compare the various Prius models easily on a website like Kelley Blue Book, which has a Compare Cars feature that allows you review the various features of several vehicles at a glance. Take note of which models best fit your needs and budget. Step 3: Shop around for the Prius you want to buy. While you may fall head over heels with the first Prius you see at a dealership, it doesn’t hurt to look around for a better deal. In addition to visiting car dealerships, you can check print and online classifieds for these hybrids up for sale. Before making any commitments, be sure to test drive your potential purchase. 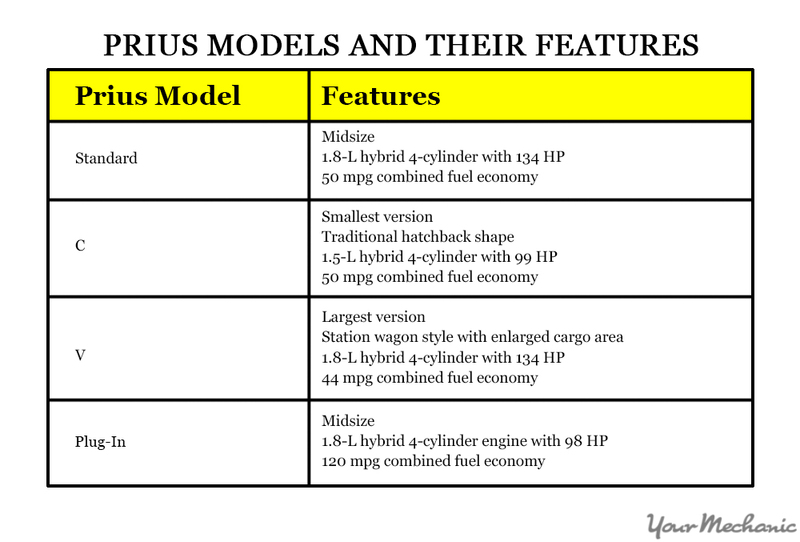 There are some attributes unique to this model, and you should be sure the Prius is a comfortable fit for you. Bear in mind that these hybrid cars don’t go extremely fast and make a bit of noise as they switch between drawing power from the battery pack and the engine. Step 4: Obtain financing for the Prius, if necessary. Unless you have the funds to pay for a Prius in full, you will need to finance your purchase. As with shopping around for the car you want, you should explore your financing options for the best interest rate and loan length you can get. If you have a good relationship with a local bank, that is probably where you will find your best deal, although there may be other lenders offering prime rates. In general, your worst interest rate will come from the car dealership itself (provided they offer in-house financing), but it is often the easiest place to get credit. Regardless of which lender you choose, you will have to fill out a credit application with information about your employment and finances. You will likely need to provide references as well. Once the lender has time to review your application and verify the information you provided, you will soon be informed of whether you have been approved for a loan on a Prius. Step 5: Complete the sale. The individual or dealership will provide you with the paperwork you require to get insurance and register the car in your name. Once you take the plunge and buy a Prius, you join an elite group of hybrid car owners. Driving one of these cars sends the message you are more concerned about the future of the environment and being sensible than having something flashy and fast on the road. Be sure to have one of YourMechanic’s certified professionals perform a pre-purchase inspection to ensure the Prius you are considering buying is in prime working order. Q: How do the active head restraints work in a 2012 Toyota RAV4?